Feel the sea breeze in our billowy Aloha Blouse. 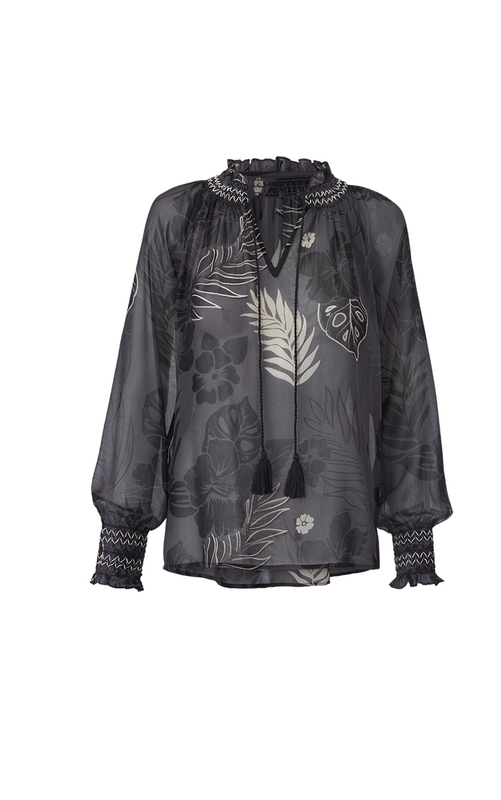 The unique, grayscale tropical print with embroidered detailing will turn heads. 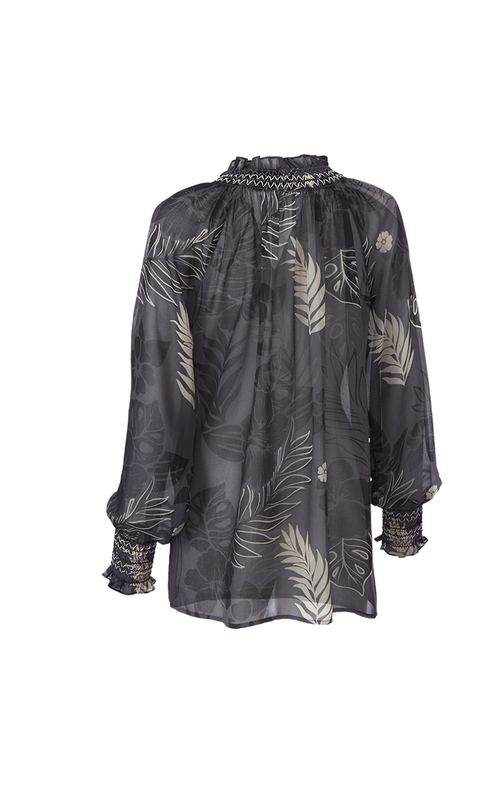 The sheer poly chiffon creates a lightweight, easy-fitting silhouette, complete with raglan sleeves, side slits at the hem, and tassel closure ties at the fold-open neckline. Wash by hand with cold water. Only non-chlorine bleach if needed. Lay flat to dry. Warm iron if needed. Loving the Aloha Blouse? Share how you’re wearing it on Instagram, and browse through all the inspired ensembles for fresh ideas.